While Wikipedia can be a great resource for general information, it may not give you the full scope of what to expect during your Mexican travel. Details can change over time, and you are depending on a limited perspective. Mexican travel is unique for every person based on border crossings, your personal interests and your travel methods. Mexico insurance with MexicanInsuranceStore.com is important if you will be driving, and you need to realize that quality can vary from vendor to vendor. Wikipedia may inform you that you need a Mexico car insurance policy, but will it tell you which policy options are best for your plans? Remember that generalizations on sites like Wikipedia are great springboards, but you need to dig deep for the best information. Here are some things that you may need to evaluate outside of the Wikipedia platform. Mexico insurance with MexicanInsuranceStore.com is now required in order to drive on highways in Mexico. Safe food – food related illnesses aren’t fun, but that doesn’t mean you can’t enjoy the fare of the people as you travel. Pay attention to dairy and meat products that may be stored inadequately, and note food handling procedures and cleanliness before you dive in and order. Safe drinking water – while bottled water is the safest choice for travelers, prices can creep up as you spend many days or weeks in the country. 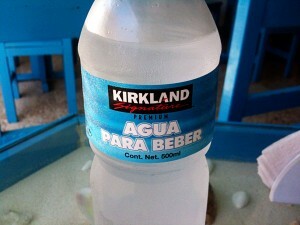 Grocery store water machines are available for filling your garafón, a 5 gallon container. However, these may not be meticulously cleaned. Stop at a processing facility where your garafones will be cleaned with soapy water and long brushes prior to being refilled with purified water. Safe travel times – problems can happen at any time of day. However, from dusk to dawn, you are more vulnerable to driving problems, criminal activity and road hazards. Many would attribute safety concerns primarily to criminal activities, but the reality is that you are in unfamiliar territory, making safe driving at night a tough prospect. Best border crossing scenarios – the best guesses about border traffic can be proven wrong at any time. You may expect more active crossings on weekends and in the latter part of the day, but be prepared to adapt. You will certainly need Mexico car insurance policy for legal travel over the border. However, you have little time to review the options at the border. Preliminary research of Mexico insurance with MexicanInsuranceStore.com online allows you to select the best policy for your vehicle and your plans. From my experience, Mexican cuisine is quite enticing and the people quite welcoming. Sometimes you may be tempted to throw caution to the wind. However, just as you need to be careful in your selection of Mexican insurance, you too need to be cautious in the selection of your food vendor. Food contamination is not such a rare occurrence.